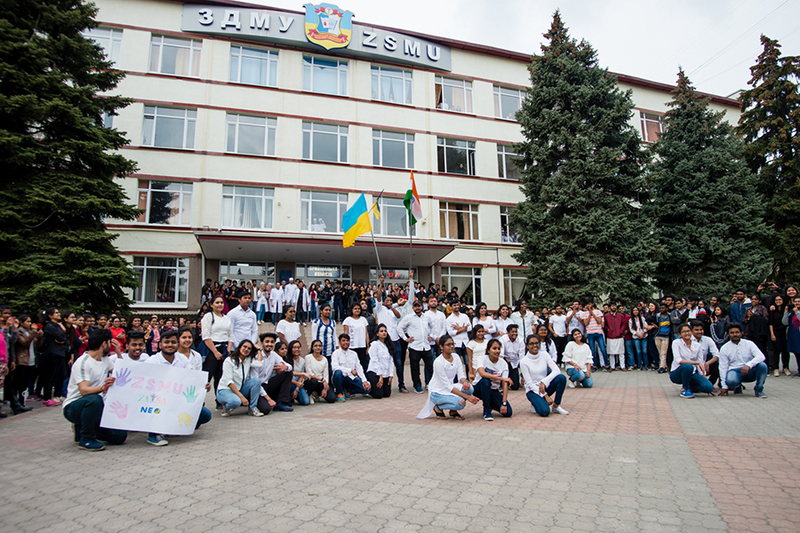 ZSMU news. 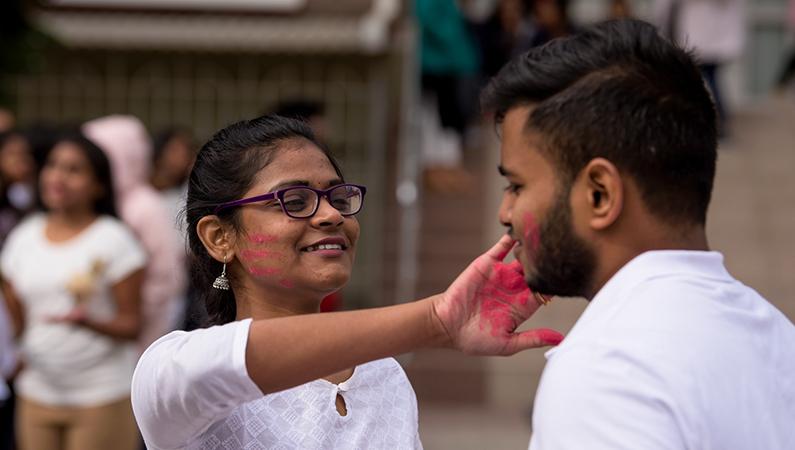 Paint Our Lives in Colors of Joy! Paint Our Lives in Colors of Joy! 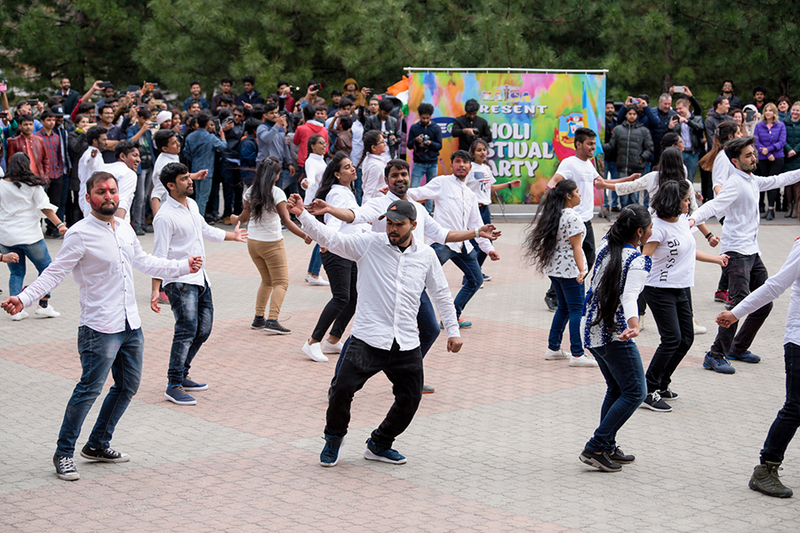 Today at the Zaporizhzhia State Medical University, students of the Republic of India organized a flash mob on the occasion of the celebration of Holi, their home country folk festival of colors. This ancient holiday symbolizes the arrival of spring, the driving out of evil and the revival of life. These are great symbols quite relevant as of the present. 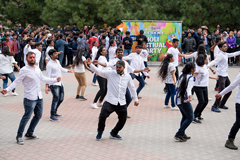 The youth came to the square in front of the second university building, rejoiced and danced, and afterwards they moved to the stadium to shower each other with the different colors and rejoiced with the belief that their life became happier. 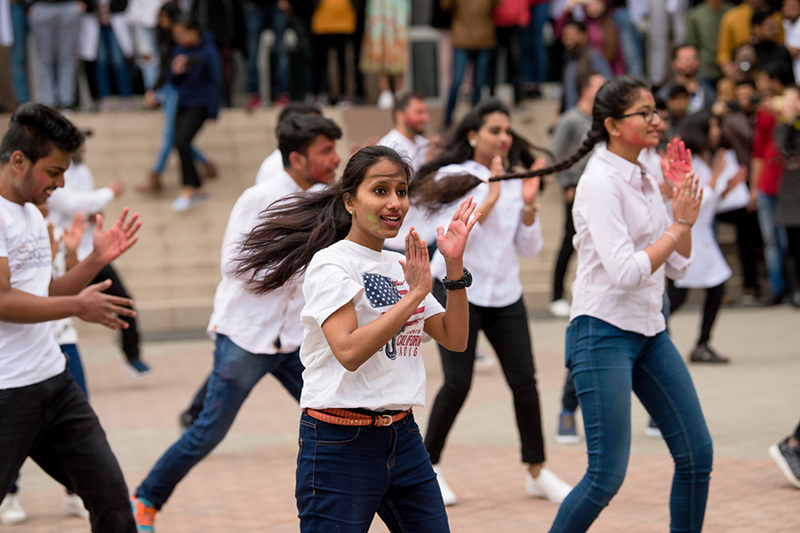 Native students joined the celebration as well.